Meet the fearsome German Tiger tank, known infamously during World War II. In fact, the Tiger was so well known it's said that the mere mention of the Tiger name would make Allied soldiers tremble. Needless to say, the Tiger tank was highly feared. With excellent armor and a powerfully ferocious gun, it could destroy tanks with only one shot and escape unscathed. But what are the hard facts? 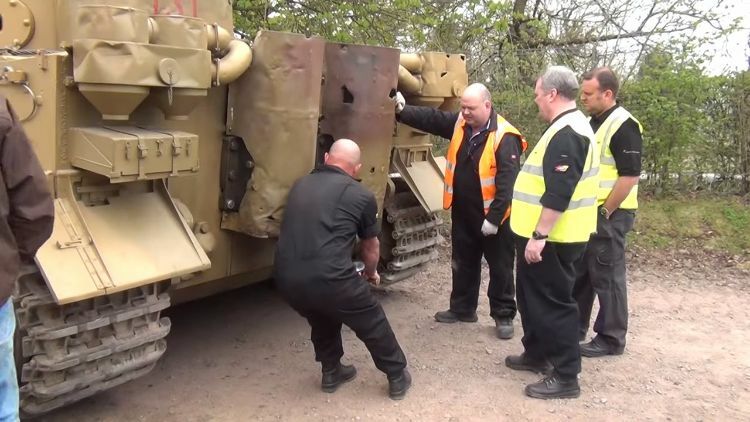 Weighing in at 54 tons, the Tiger could hold a crew of 5. With its 88-millimeter anti-tank gun, it was known to shoot enemies from a distance. How well did this tank do in battle? It turns out the Tiger killed 11.52 tanks for every one of its own on the battlefield. The only downside was that it did suffer from quite a number of mechanical issues, which limited how many tanks could be deployed at once. The winters during World War II were particularly cold, and the preferred way to start up the big engine of the Tiger was to use the hand crank. Turning the crank would turn a flywheel, and when this was going fast enough, the flywheel would turn the engine over, firing up the Maybach HL230 P45 V-12. The hand crank was used especially in cold conditions, as there was also a Bosch 24V axial motor electric starter to get the Tiger up and running. The gun on the Tiger was the 8.8 cm KwK 36 L/56, something that could easily destroy Shermans, Cromwells, and other Allied tanks. However, the Tiger was produced in small numbers compared to many other tanks, and in battles, it could be overcome by not only air strikes and anti-tank guns but also by the sheer number of Shermans. 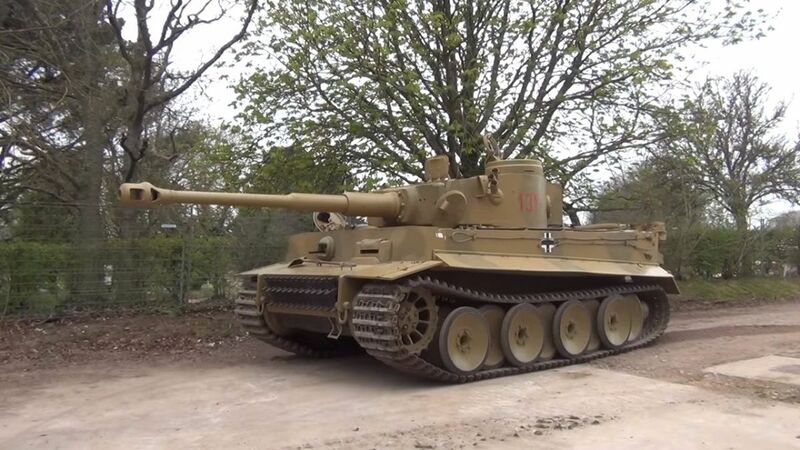 This Tiger is located at The Tank Museum in Bovington, England. It’s cool to see this venerable tank’s engine getting started by hand. Take a look at the video below, and SHARE if you are a fan of reliable military engines.